Penn State researchers have developed a technique that uses acoustic waves to sort cells on a chip, a development that could allow more cell types to be analysed simultaneously. 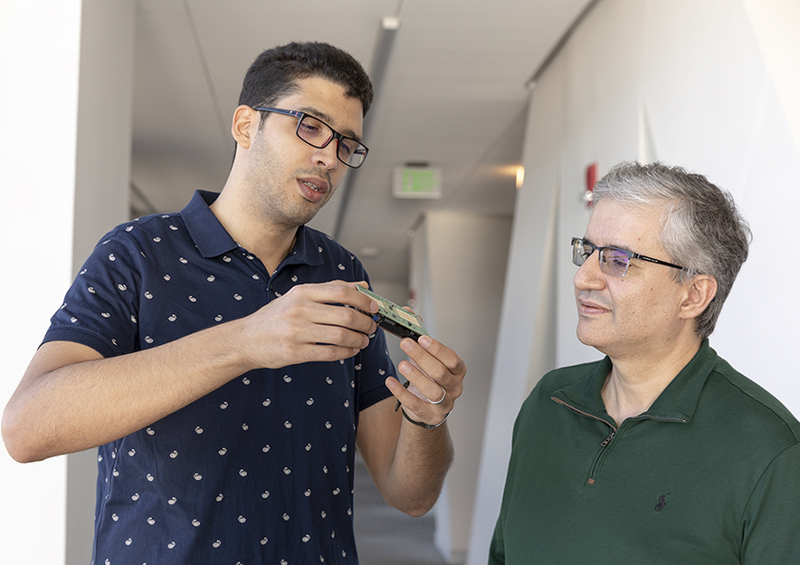 The device uses two beams of acoustic waves to act as acoustic tweezers and sort a continuous flow of cells on a dime-sized chip, said Tony Jun Huang, associate professor of engineering science and mechanics at Penn State. By changing the frequency of the acoustic waves, researchers can alter the paths of the cells. In a statement, Huang said that since the device can sort cells into five or more channels, it will allow more cell types to be analysed simultaneously, which paves the way for smaller, more efficient and less expensive analytic devices. Biological, genetic and medical labs could use the device for various types of analysis, including blood and genetic testing, he added. In addition to the inefficiency and the lack of controllability, current methods produce aerosols — gases that require extra safety precautions to handle. The researchers, who released their findings in the current edition of Lab on a Chip, created the acoustic wave cell-sorting chip using a layer of silicone — polydimethylsiloxane. According to Huang, two parallel transducers, which convert alternating current into acoustic waves, were placed at the sides of the chip. As the acoustic waves interfere with each other, they form pressure nodes on the chip. As cells cross the chip, they are channelled towards these pressure nodes. The transducers are said to be tuneable, which allows researchers to adjust the frequencies and create pressure nodes on the chip. The researchers first tested the device by sorting a stream of fluorescent polystyrene beads into three channels. Prior to turning on the transducer, the particles flowed across the chip unimpeded. Once the transducer produced the acoustic waves, the particles were separated into the channels. Following this experiment, the researchers sorted human white blood cells that were affected by leukaemia. The leukaemia cells were first focused into the main channel and then separated into five channels.